Welcome to Villa Doughty! 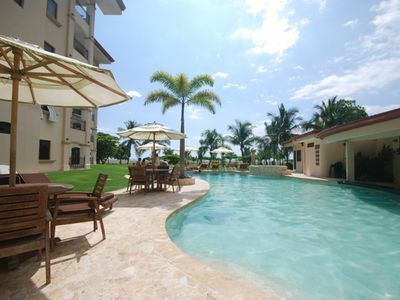 Our Promise:To Provide a Perfect Private Paradise! 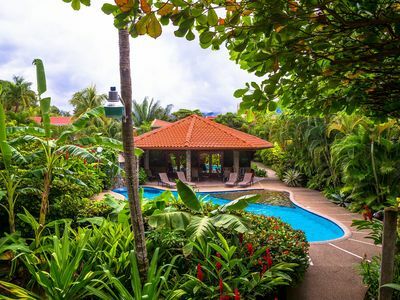 We all need a little escape from everyday life, which is why our promise is to provide a perfect private paradise for our guests at Villa Doughty. 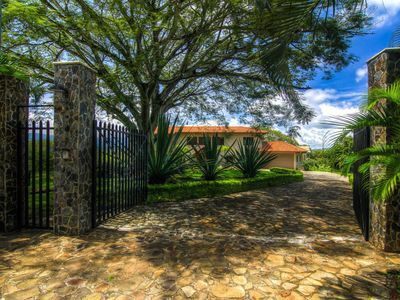 The moment you arrive and open the door to this stunning and unusually spacious Villa, you know you are going to enjoy your dream vacation...your home away from home! Villa Doughty has an open and split floor plan with 4 spacious bedrooms, 3 baths, and more than 4400 square feet of luxury amenities. 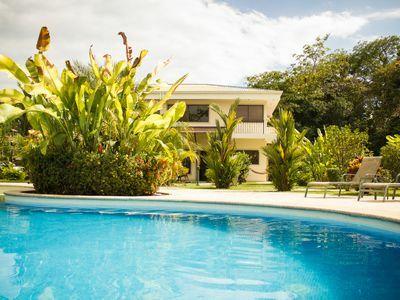 The Villa overlooks a sparkling pool that is surrounded by almost two acres of beautiful very private gardens. You will be able to see fabulous views of the Central Valley that go on and on for miles. One of the best features of the Villa is the expansive forty foot outdoor covered terrace attached to the back of the living/dining room area. You’ll especially find yourself enjoying this area morning, noon and night. The terrace is perfect for entertaining or just enjoying that glass of wine at the end of a very adventuresome day. 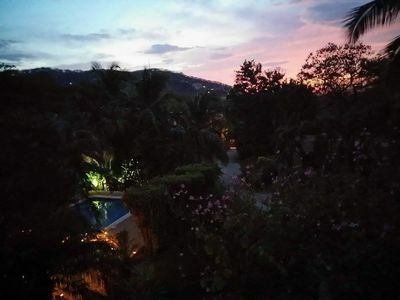 And since Atenas is noted for having the best climate in the world, it is one of the best places to vacation in Costa Rica! 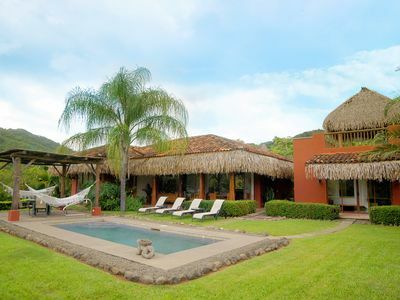 Our Villa features a second story master suite with walk-out balcony overlooking the gardens and the Central Valley. 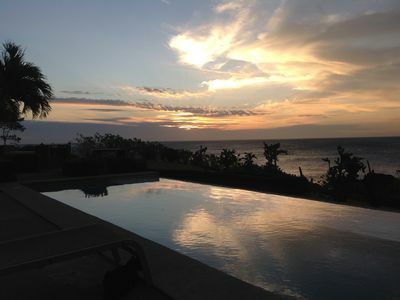 A perfect place to enjoy a gorgeous sunrise while sipping some of our complimentary Costa Rican coffee. The master suite features a king-sized bed with luxurious bedding, a 32” HDTV, huge walk in closet, and an in- suite bathroom including double vanities and a soaking tub with a safety bar. Further down the upstairs hall is two more large bedrooms. One has a custom queen-size bed with luxurious bedding, a walk-in closet, and the third bedroom has a double size-bed with luxurious bedding, and a shared bathroom between them. 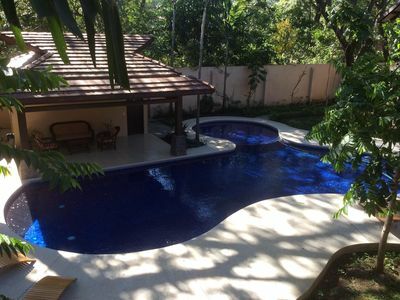 On the main floor is another custom king-size bedroom overlooking the pool. It is right next to the downstairs guest bathroom. The open floor plan of the living room area has ample comfy seating, a 55 inch HDTV, DVD’s, and a few games. 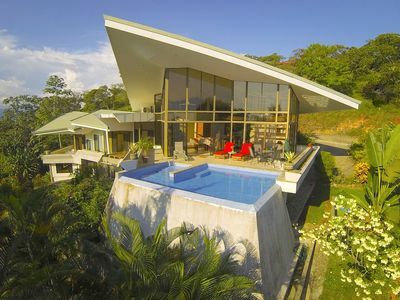 It has access to the expansive sliding glass doors that open onto the forty foot covered terrace. 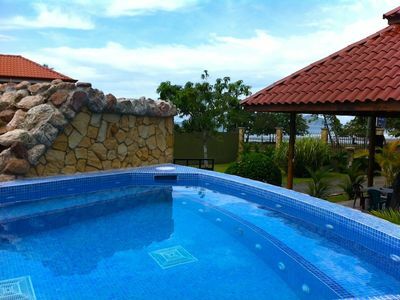 The area is ideal for entertaining and, of course, you will find a large propane BBQ grill for your dining pleasure. Out on the terrace you will be amazed at the many visitor’s that stop by the Villa daily. 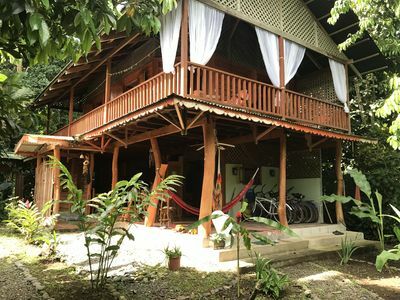 Included in that list of visitors are our favorite toucans, green parrots, a large variety of butterflies, hummingbirds, and many other birds. From the end of the terrace is your entry through double glass doors into the dining room that seats six comfortably. Our guests can easily flow from the living room into dining room and then into the over-sized well-equipped gourmet kitchen. There is additional seating for four at the center island, an abundance of granite countertops over the beautiful hardwood cabinets, and includes stainless steel appliances. 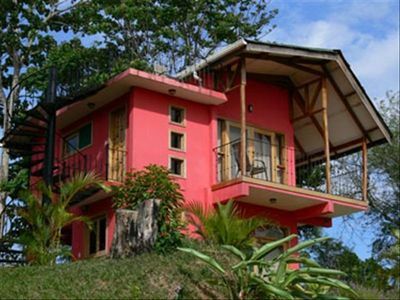 Any Questions about your Dream vacation rental?...Give us a call. Escape to your perfect private paradise and enjoy your dream vacation! 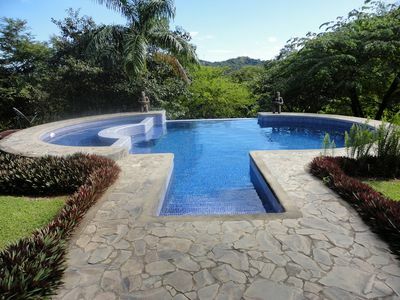 Come and enjoy all that Costa Rica has to offer. 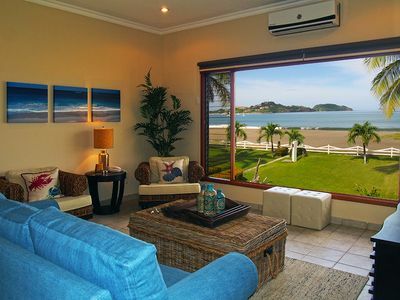 Our mission is to provide you with a first class vacation stay at a truly reasonable rate. We will make you feel right at home, so you can spend your time making memories that will last a lifetime! We are more than happy to chat with you…just call us about any questions you might have if it makes it easier than emailing questions back and forth. We look forward to your inquiry! 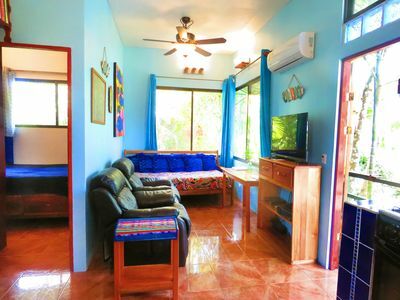 12 Bedroom Beach Front Paradise - Blue Macaw - $200 Booking Bounus ! Relax in beachfront luxury, 3bd w/ lrg kichen and family room poolside value! 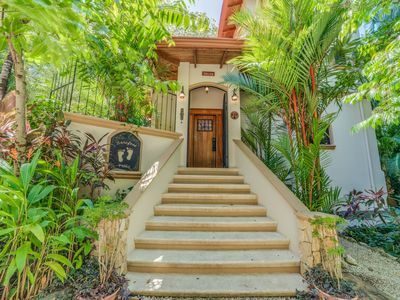 In the heart of Playa Hermosa - A tropical oasis! 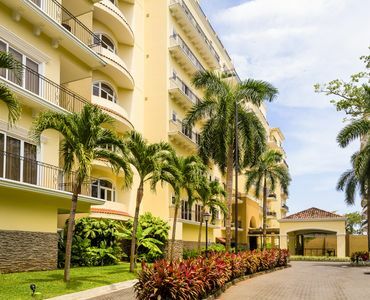 Casa Aloha - Birder & Surfer Paradise! AC, WiFi, Short Walk to Pavones Point! Sale Rates Now! !Stunning New 2/2condo on Flamingo Video! 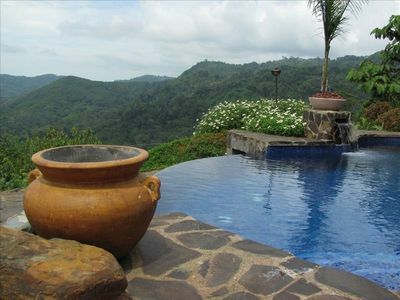 Villa Mountain Serenity, Lovely Panoramic Valley & Ocean View! 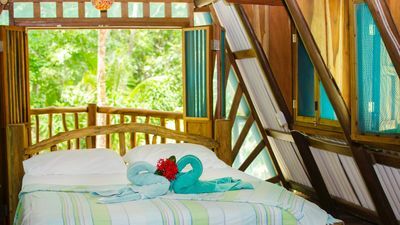 Secluded Beach Front Cabin in Jungle Setting. 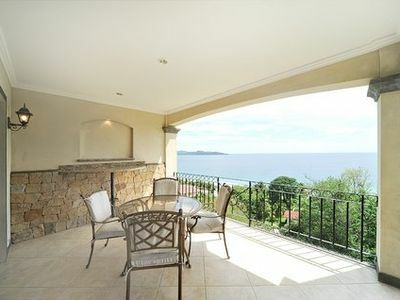 Beautifully Furnished, 100 meters to the beach! 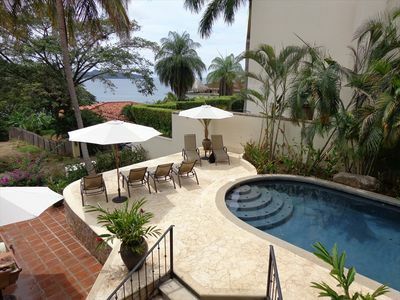 Exceptional OceanView Rental for 10 Persons....Walking Distance to Beach!